When Orphan Black launched last year, I was already interested becauseÂ John Fawcett andÂ Graeme Manson have done several shows (Rookie Blue, Lost Girl, The Border, The Bridge) that I dig, and it was filmed in Toronto, but Saturday nights just didn’t work for me to watch it live. Then I cleared the DVR of the episodes I’d recorded. And then I tried to watch it On Demand without closed captioning (which I ALWAYS leave on) and it didn’t grab me right away, so I didn’t get past the halfway point of the pilot. All that said, I was acutely aware of the genius ofÂ Tatiana Maslany and determined that I would get around to watching it, dammit–hopefully, before the second season kicked off. That time finally came around, y’all. I DVRd the BBC America season one marathon yesterday and devoured them between last night and this afternoon, and I’m IN. If you’ve skipped out on this juggernaut for your own reasons, the timing is fantastic for you to dive in now. The second season launched tonight at 9/8c. If you don’t even know where BBCA is on your dial, click here to find it. 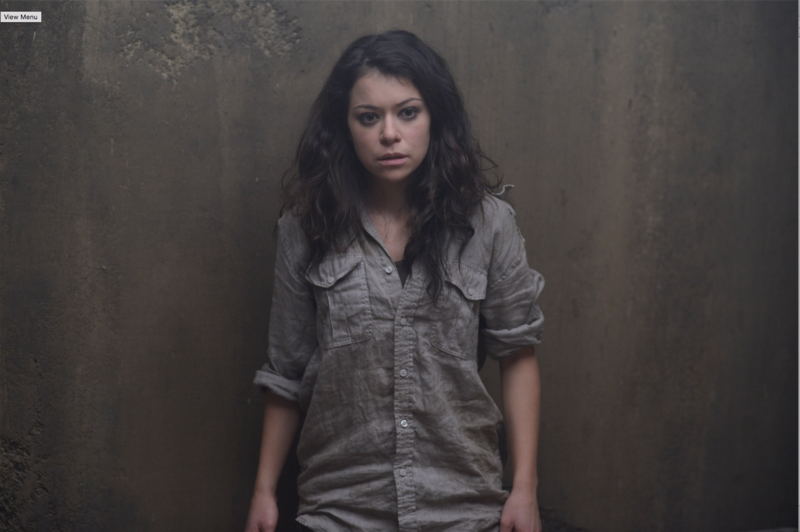 So, why is Orphan Black must-see? Maslany is an extraordinary actress doing EPIC work playing a multitude of clones–women who were manufactured from a primary set of twins and went on to live independent and globally far-flung lives until factions stepped in to snuff them out. 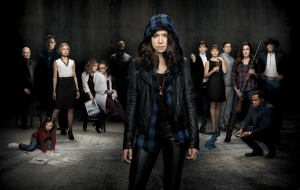 Maslany plays five primary roles–Sarah, a Brit who stepped into an identity when one of the clones committed suicide in front of her; Alison, a rigid suburban soccer mom with a dark side; Cosima, a PhD biotech student intrigued by the science of it all; Helena, a horrifically, physically- and psychologically-scarred pawn of a religious group (who is Jason Vorhees-level indestructible); and Rachel, who is coldly in charge of the team who’s been monitoring the clones and is one herself. In addition to playing these roles, Maslany often plays one clone pretending to be another, so she’s layering performance on top of performance–let that rattle around your brain for a minute. The Twitterverse exploded when she was overlooked for an Emmy nomination last summer, as it should have. We begin with Sarah witnessing the suicide of a cop, Beth, and then for a short while becoming Beth. Then she discovers there are others like her, and they become a ragtag family of sorts alongside her flamboyant foster brother, Felix (Jordan Gavaris), her daughter, Kira (Skyler Wexler), and her foster mother, Siohban (Maria Doyle Kennedy). She also confides in Beth’s partner, Art (Kevin Hanchard), and Beth’s boyfriend Paul (Dylan Bruce), with whom she sparks and develops a protective bond. When we meet Sarah, she’s returned home after almost a year away and she’s back just long enough to make some fast cash and get herself, Kira, and Felix out of town and off to a new life, but all that goes to hell when she meets her clones and they discover someone’s killing them off and that they’re prone to a cellular sort of self-destruct. One of the refreshing things about the first season was that more and more people were looped on the secret so it was a known unknown, if you will. I loved that Felix found out right away so Sarah had an ally out of the gate. For those characters in the story who didn’t know, the trick of one clone playing the other to carry on the deceit was really deftly done. It was also refreshing that Kira couldn’t be fooled. We also never quite know who to trust. Paul outed himself as Sarah’s monitor. and Delphine (Evelyne Brochu), Cosima’s girlfriend, has done the same. When last season wrapped in a wicked cliffhanger, Kira and Siobhan were missing and presumed kidnapped. That shook all the interested parties out of the shadows and into the light, and that’s where we pick up with the second season, which began tonight. 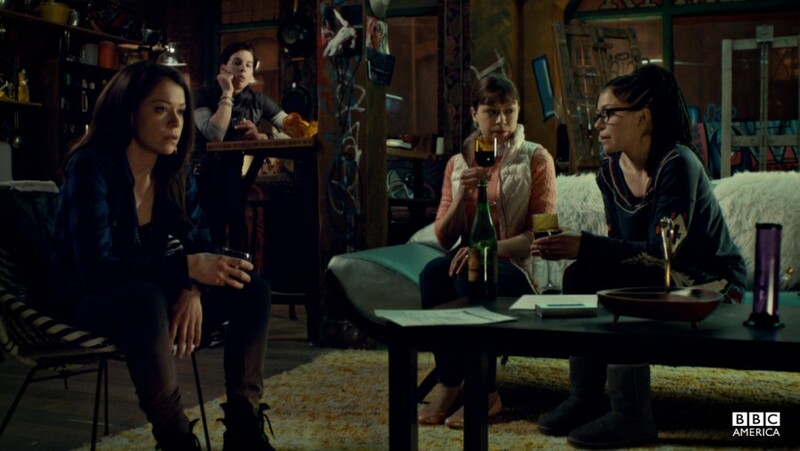 Rachel has agreed, in theory, to a set of rules for all the (known) clones but she’s also willing to support the ruse of a kidnapping to lure Sarah in because she’s of specific interest to the Dyad group. It’s all extremely compelling, and no disrespect intended, but it plays like a Canadian or British drama, which I really, really like. And it’s chock full of an awesome rotating cast (when Maslany isn’t exhausting herself)–Matt Frewer (Falling Skies), Inga Cadranel (Lost Girl), andÂ Ron Lea are just a few of the familiar faces. It’s violent, it’s dark, it’s scary, it’s terrifying, it’s hysterically funny, and it’s so well done. You can catch up on season one all over the place: it’s on DVD and Blu-Ray and On Demand at Amazon and iTunes, and BBC America has compiled links for several other outlets here. 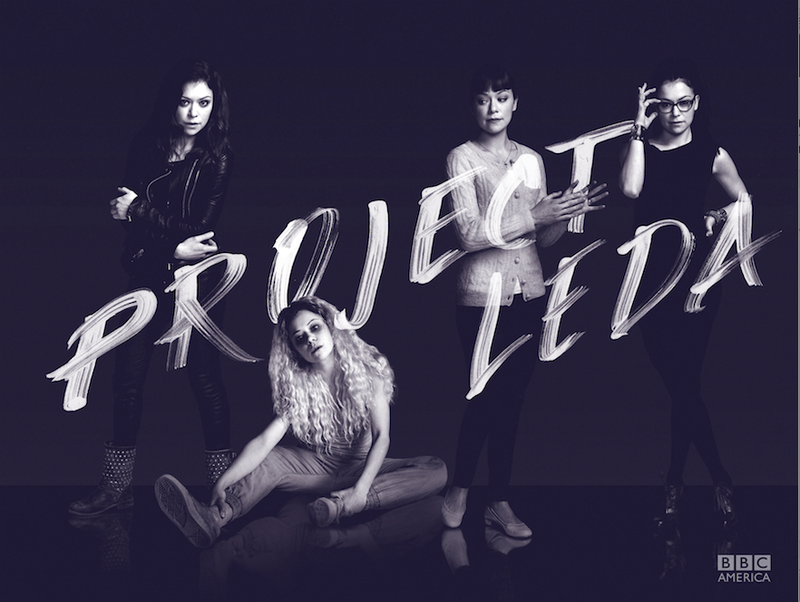 Orphan Black launched its second season tonight at 9/8c and the season premiere repeats at midnight/11c and 3 am/2c tonight and throughout the week.